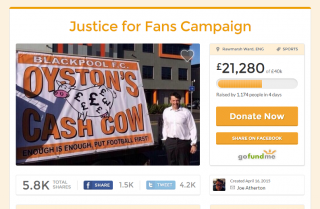 Blackpool Supporter’s Fine Paid Through Crowdfunding - Justice Served or Justice Evaded? Football fans all over the UK have helped in raising £20,000 required by a Blackpool supporter who was recently sued by owners of the club for libel. Frank Knight, 67, posted allegations about Owen Oyston and his son Karl on his Facebook page and has subsequently published an apology for the comments made. Mr Knight agreed to pay £20,000 to the Oysters to avoid going to court. In response to this ludicrous amount to expect from a pensioner with no source of income, to be paid to a family worth an estimated £100m, fans have responded by raising £20,915 using a crowd-funding website. 'The Frank Knight Campaign' will remain open to help other fans sued by the Oystons and Blackpool FC. The appeal was even supported by tweets from Countdown presenter Rachel Riley and comedian Russell Brand. "I'm not condoning what Frank has said or done. If people put allegations on social media that are found to be factually incorrect, there has to be repercussions. But I think that the punishment just didn't fit the crime whatsoever, I thought £20,000 was an absolutely obscene amount of money." Mr Knight stated on his Facebook page: "I cannot comment upon the legal complaint for legal reasons, however I would just like to extend my heartfelt thanks to Joe Atherton and to everyone for their messages of support and donations. I am truly humbled." Today at Unlock the Law, we take a look at this curious case. What is 'libel'? Why did Frank Knight have to make payment to the Oystons? Does paying a legal settlement through crowdfunding defeat the ends of justice? The law of defamation in the UK falls into two categories: libel and slander. Libel relates to the written word and slander is spoken. To make a successful claim for damages to the court, the victim of the libel must demonstrate there has been significant damage to their reputation as a result of the defamation. The victim will have to satisfy the court that the imputation, context, nature, extent and impact of the publication are significant enough to have caused serious harm. We're not entirely convinced that Mr Knight's comments about how the club is run was deserving of a £20,000 bill, or even that the comments would have caused such significant damage to the reputation of the Oyston's. However, without settling out of court, mr Knight would have faced a legal battle that could have ended up costing him more -especially if he was unable to defend his comments successfully. Does paying a fine or legal settlement through crowdfunding defeat the ends of justice? This case has provoked much discussion about whether crowdfunding a legal settlement or fine is ethical, radical or simply a new means of borrowing to pay legal fees you would other wise be unable to afford. From a legal perspective, there is nothing wrong with using a crowd funding campaign to pay a fine or legal settlement. It is simply a highly efficient whip round of people who support you. It is also a good way for those who have been wronged to receive payment due to them. How else would a pensioner with no source of income be able to pay off such a large debt? There is something slightly unsettling however about there being no real legal repercussions for someone who is allegedly in breach of the law. Whilst Mr Knight was in genuine need, faced with a massive bill from a wealthy and powerful family, there may come other circumstances where a crowdfunding campaign for legal settlement may not seem as ethical or morally correct despite falling within the law. For more information, please read our guide to defamation and media law. We would like to hear from you, how do you feel about the case? Is £20,000 excessive for Mr Knight's actions? 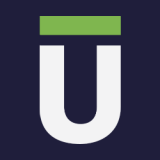 How do you feel about crowdfunding for legal expenses?